Music, Comedy, Theatre & Bira 91 Beer: Bring In The Summer With April Fool’s Fest on 30-31 March! Summer is beckoning and so does the need to chill it out before the season blooms in its full glory. 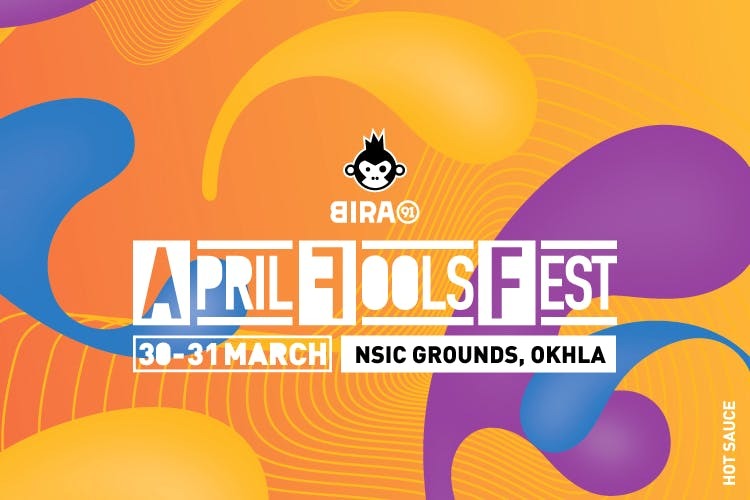 Head to Bira 91’s April Fool’s Fest on 30 and 31st March, at NSIC and be a part of an immersive world of theatre, art, hip-hop, comedy, food and free-flowing Bira. There’s a lot to be done over the course of two days. Witness the musical genius of Monica Dogra, Naezy, Raja Kumari, Prabh Deep, headbang to the tunes of DJ Ishani, DJ Mocity and more. Rohan Joshi, Kunal Kamra, Kaneez Surka and her Improv Dream Team will have you laugh your guts out here. Be mesmerised by the dramatic performances of Kommune featuring Kautuk Srivastava, Hari Sankar, Sheena Khalid, Shikhar Kamat & Tess Joseph. Also, reps from crow experiences will be interacting with festival attendees with this year’s theme being cricket. If that was not enough, gorge up on some delectable delicacies and desserts from Mahabelly, Nagaland’s Kitchen, Pot Belly, Emoi, Belgian Waffle Co., Wok Me and lots more! They have also got something special for all you Bira 91 lovers! Not only will you be chugging on your favourite Bira 91 beer, you’ll also be sipping some awesome cocktails. Don’t forget to stock up on some cool and exclusive Bira 91 merch. Passes start from INR 499 with exclusive deals on group buying, which includes free Bira 91 beer.